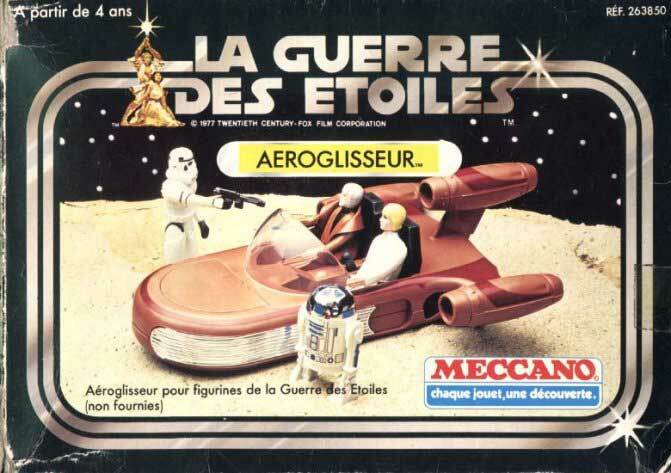 French Meccano Landspeeder: I really love the La Guerre des Etoiles logo. Aside from that, however, this box is also interesting because it features a slightly different photo from that of the American version of the toy. Look closely now. This image was provided by The French Star Wars Collecting Page, which is run by Stephane Jacquet, and can be found at the following URL: http://www.multimania.com/barada/.